You put a lot of trust in the functionality of your weapons, so keep them in prime condition with Pelican long rifle, gun and firearm cases. Give your gear the perfect fit with containers crafted specially for specific guns. Hard-as-rock exterior shell encompasses your firearms in crushproof coating so the ups and downs of transportation leave them no worse for wear, while plush interior foam cushions against any unexpected impact damage. Designed to accommodate extra ammunition and accessories, these roomy Pelican containers securely clasp shut to prevent accidents and surface abrasions. 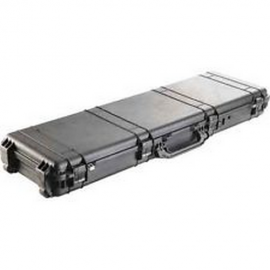 Travel with your weapons securely and safely with Pelican long rifle, gun and firearm cases. These Pelican Rifle Cases are built tough enough to keep your gun and/or rifle from physical damage and water/moisture damage. With its crushproof design, these cases will withstand being tossed or dropped. 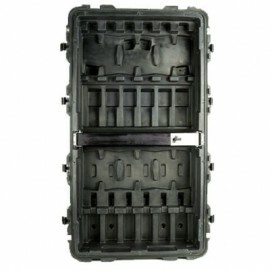 The inside of these cases feature a waterproof and dustproof o-ring seal that prevents liquids, moisture and dust from entering, preventing your weapon from rusting. Choose Pick 'N' Pluck foam with your case to totally customize your case to specifically fit your weapon, extra magazines and other shooting accessories. 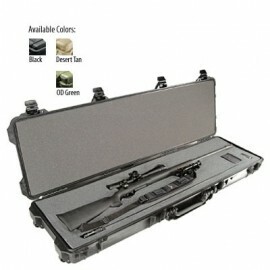 Paired with a Pelican Case Lock or Padlock for the ultimate security of keeping your guns safe and secure. 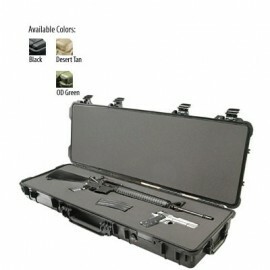 Pelican Gun Cases also come with heavy-duty carrying handles and wheels for easy transportation. 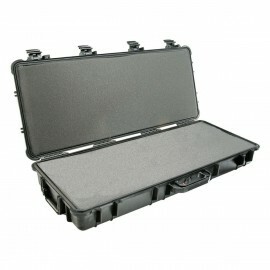 We also carry weapon cases specifically designed to hold up to ten M4 or M6 rifles. 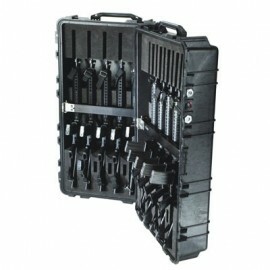 The Pelican 1780RF and 1780HL are widely used by police departments, including SWAT and branches of the military.